Everything we invent begins as an idea. Over time, ideas take form and manifest into reality. But ideas can only advance as quickly as people advance them. In highly innovative organizations, leaders save good ideas from needless deaths. Leaders put people in the right positions and recognize that, in addition to skills, personality plays a critical role in success. Perceptive leaders tap into each team member’s personality to propel innovation forward. When a group of people collaborates well, they accelerate collectively. Consider that the world record for the 400-meter dash is 43.18 seconds. For an individual, that is lightning fast. However, the world record for the 400-meter relay is 37.04. That’s more than six seconds faster in a world where winners are measured in hundredths or thousandths of a second. Amidst continuous cycles of innovation and disruption, leaders can no longer rely on single individuals to reach the finish line ahead of the competition. Instead, they need teams in which individuals play to their natural strengths. The Four Roles of Innovation. There are four core personality styles, and they each play a specific role in innovation. I have linked them to four birds to make them easy to remember. First up are the Eagles. They are direct and results-oriented. 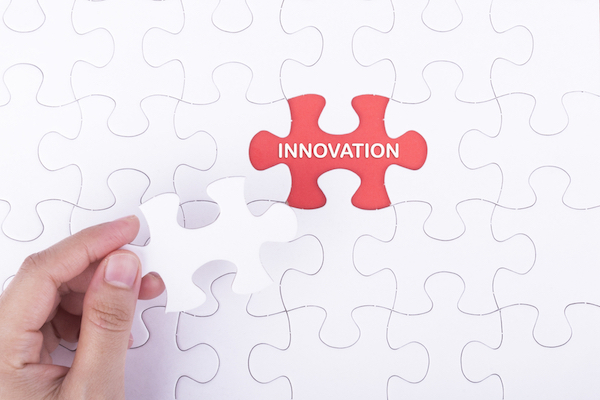 In the innovation process, they create big-picture, revolutionary ideas that shift paradigms. After the Eagles generate new ideas, logical and detail-oriented Owls dissect them. They examine ideas from every perspective to make sure they will work. Next, the soft-spoken and methodical Doves establish a plan to bring the ideas into existence. They consider roles and responsibilities, timelines, budgets and more. Finally, ideas need energy and momentum. That’s where the Parrots come in. These individuals are enthusiastic and generate buy-in so that great ideas don’t fail for lack of support. Enable team members to utilize their gifts – If Parrots are tasked with organizing the project plan, they may overlook the finer details. Likewise, if Owls are responsible for generating excitement, they may offer clear logic for the new idea, but neglect to inspire enthusiasm. Ensure that each person is playing the right role at the right time – While Eagles are generating radically new ideas, they need the freedom to explore all possibilities. If Owls cut the ideas down before they are fully formed, the group won’t innovate. Create smooth handoffs at each phase of the innovation process – Just as runners must smoothly pass the baton to the next runner, each person needs to smoothly advance the project to the next person in line. Owls should evaluate Eagle’s ideas only after they are ready to be considered. Doves can only create plans once all of the ideas are carefully analyzed. And Parrots need to promote the ideas when they are ready to be shared. When forming teams, most leaders assign roles based on skillset and fail to consider personality style. The drama of clashing personality styles can inhibit innovation – even more so than lack of skill. As a leader, do you include an Eagle in your initial brainstorming process? If not, the Owls may spend their time refining the status quo. Do you include a Parrot in the discussion of how you are going to communicate the new ideas to the organization? If not, the ideas may be communicated in a factual, but uninspiring way. Do you ensure that Owls are present when the ideas need to be vetted? If not, you may move forward without considering the downstream implications. Finally, imagine creating new ideas, thinking them through and generating excitement, but failing to create a solid plan. Doves are equally essential to innovation. Successful leaders understand that great ideas don’t just work because they’re great. By tapping into the power of personality, leaders can fluidly move ideas through each stage of the innovation process and bring ideas to life. 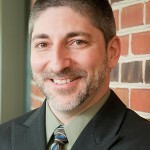 Merrick Rosenberg is the CEO of Take Flight Learning, which he founded in 2012 and co-founder of Team Builders Plus, which he started in 1991. He is the author of “The Chameleon: Life-Changing Wisdom for Anyone Who has a Personality or Knows Someone Who Does“ and co-author of “Taking Flight! : Master the DISC Styles to Transform Your Career, Your Relationships…Your Life“, two books about the DISC personality styles.